Anybody had a go at removing the following messages? I tried with Olly/IX but cannot locate those strings. 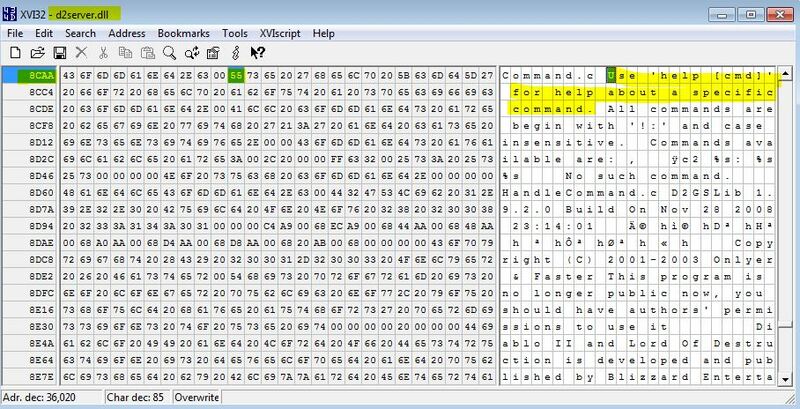 it looks like it is not from the "D2GS.exe" source but rather from the "d2server.dll". Follow the print of the address for the change. If you need help I'll do it for you. Even replacing HEX with 00?